Dalyite: Mineral information, data and localities. Named by Rene von Tassel in 1952 for Reginald Aldworth Daly (March 18, 1871 Nepanee, Ontario, Canada – September 19, 1957 Cambridge, Massachusetts, USA). Daly was professor at Harvard University and was one of the most brilliant igneous petrologists and established many geological principles. There are Daly Craters on both the Moon and Mars named in his honor. Dalyite from Terceira ignimbrites contains some Na and minor Hf and Ti, but does not readily incorporate Fe, Mg and Ba. Dalsfjorden, Askvoll, Sogn og Fjordane, Norway Robins, B., Furnes, H., Ryan P. (1983): A New Occurrence of Dalyite. Mineralogical Magazine, 47, 93-94. Ejected blocks of alkalic granite in trachytic and basaltic tuffs. Chevkinite-(Ce) 3 photos of Dalyite associated with Chevkinite-(Ce) on mindat.org. Aegirine 1 photo of Dalyite associated with Aegirine on mindat.org. Quartz 1 photo of Dalyite associated with Quartz on mindat.org. Feldspar Group 1 photo of Dalyite associated with Feldspar Group on mindat.org. 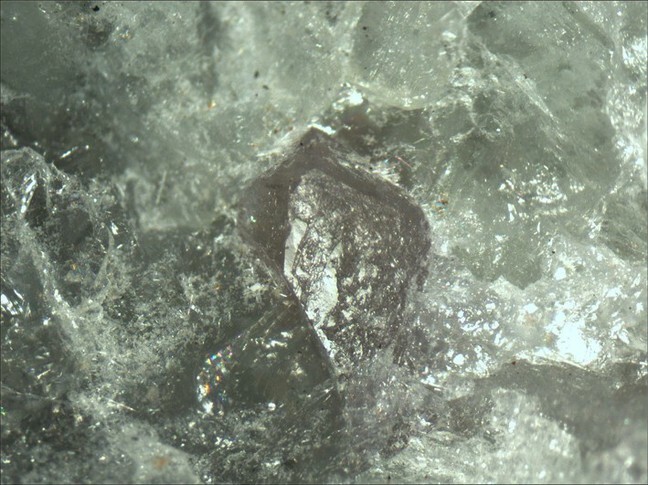 Janhaugite 1 photo of Dalyite associated with Janhaugite on mindat.org. Britholite Group 1 photo of Dalyite associated with Britholite Group on mindat.org. Zeitschrift für Kristallographie, Kristallgeometrie, Kristallphysik, Kristallchemie: 121: 349-368. Jeffery, A.J., Gertisser, R., Jackson, R.A., O'Driscoll, B., Kronz, A. (2016): On the compositional variability of dalyite, K2ZrSi6O15: a new occurrence from Terceira, Azores. Mineralogical Magazine, 80, 547-565. Handbook of Mineralogy - Anthony, Bideaux, Bladh, Nichols; Harris, C., & Rickard, R. S. (1987). Rare-earth-rich eudialyte and dalyite from a peralkaline granite dyke at Straumsvola, Dronning Maud Land, Antarctica. 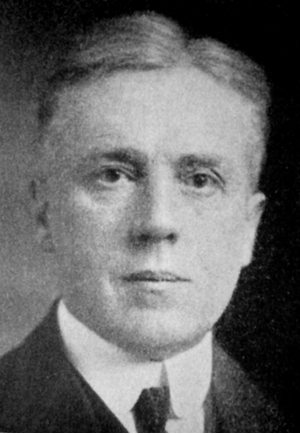 Canadian Mineralogist, 25, 755-762. 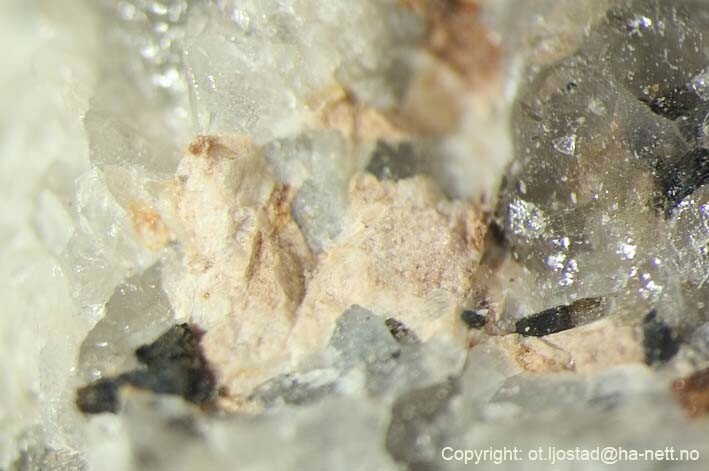 Raade, G. & Mladeck, M. H. (1983): Janhaugite Na3Mn3Ti2SiO4O15(OH,F,O)3, a new mineral from Norway. 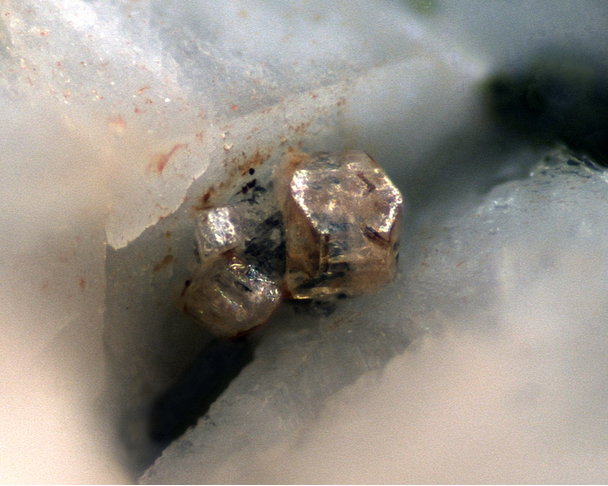 American Mineralogist, 68, 1216-1219; Raade, G. (2005): Gjerdingen-ekeritten, en unik mineralforekomst. Norsk Bergverksmuseum Skrift nr. 30, 2005, p 17. Furnes, H., Mitchell, J.G., Robins, B., Ryan, P., Skjerlie, F. J. (1982): Petrography and geochemistry of peralkaline, ultrapotassic syenite dykes of Middle Permian age, Sunnfjord, West Norway. Norsk Geologisk Tidsskrift, 62, 147-159; Robins, B., Furnes, H., Ryan P. (1983): A New Occurrence of Dalyite. Mineralogical Magazine, 47, 93-94. Cann, J.R. (1967): A second occurrence of dalyite and the petrology of some ejected syenite blocks from Sao Miguel, Azores. Mineralogical Magazine, 36, 227-232; Widom, E., Gill, J. B., Schmincke, H. -U. (1993): Syenite nodules as a long-term record of magmatic activity in Agua de Pau volcano, São Miguel, Azores. Journal of Petrology, 34, 929-953; Ridolfi, F., Renzulli, A., Santi, P., Upton, B. G. J. (2003): Evolutionary stages of crystallisation of weakly peralkaline syenites: evidence from ejecta in the plinian deposits of Agua de Pau volcano (São Miguel, Azores Islands). Mineralogical Magazine, 67, 749-767. Van Tassel, R. [ with a microchemical analysis by Hey, M.H.] (1952): Dalyite, a new potassium zirconium silicate from Ascension Island, Atlantic. Mineralogical Magazine, 29, 850-857. Fleet, S.G. (1965): The crystal structure of dalyite. Zeitschrift für Krystallographie, 121, 349-368. Van Tassel, R. [ with a microchemical analysis by Hey, M.H.] (1952): Dalyite, a new potassium zirconium silicate from Ascension Island, Atlantic. Mineralogical Magazine, 29, 850-857.